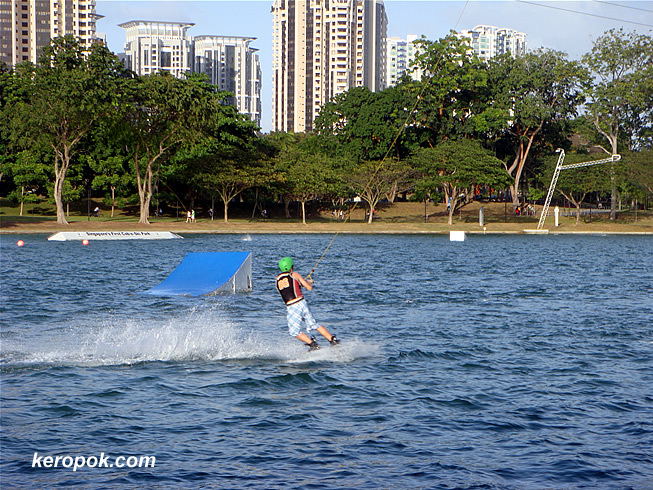 Wakeboarding at a lake in East Coast Park. It's at a place called SKI360° and these people sure looked like they had fun! Neat action shot. It looks a bit too energetic for me! Love to to do that. Great shot. This is not wakeboarding. Its cable ski ..
Hey are those boards out there year round? Like on the lake, are those ski boards up there so that we can go there at any time? If so, thats freakin awesome! we need something like that in Houston!